The Minister for Education intends to renew an order which allows for separate entry routes into primary school teacher training depending on the religion of the applicant. An existing ministerial order, which runs out at the end of August, allows Protestants apply for teacher training at the country's largest teacher training facility at DCU through a separate mechanism, which has a lower CAO points requirement, as well as a lower Leaving Certificate results threshold. Unlike the general teacher training course, these Protestant applicants must pass an interview process and must commit to upholding a Protestant ethos. 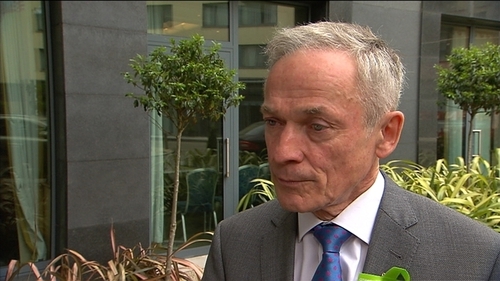 Richard Bruton has laid a draft Ministerial Order, to renew the previous one drawn up by then minister, Ruairí Quinn, before the Houses of the Oireachtas. The order must be passed by both houses to become law. In a statement the Department of Education said the order had been prepared following a request from DCU, and in keeping with commitments made following the incorporation of the former Church of Ireland College of Education into DCU, along with the country's two Catholic teacher training colleges, St Patrick's College and the Mater Dei Institute of Education. The order allows 32 places to be reserved on the university's Bachelor of Education programme, for Protestant applicants. Those applicants apply using a separate CAO course code. Last year the CAO points requirement for DC004, the Protestant entry route, was 420, compared to 462 points required for entry into the general course. While applicants to both entry routes are required to have at least a H5 in Leaving Certificate Irish, the Protestant CAO entry requirements state that students with a lower grade in the subject may be offered places if there are insufficient candidates. There is no such stipulation for other applicants. DC004 applicants are also allowed to use modules studied under an alternative Leaving Certificate Vocational Programme for the calculation of points. This is also not an option available to other applicants. In its statement, the Department of Education said the order - made under Section 12 of the Employment Equality Act - was designed to ensure the availability of teachers to primary schools with a Church of Ireland/reformed Christian ethos and in order to maintain the religious ethos of such primary schools. The right to maintain a separate entry route was a key requirement of the Church of Ireland College of Education when it negotiated its amalgamation into DCU. There were concerns that amalgamation with the two far larger Catholic teacher training colleges, which also offered denominational teacher training, could otherwise lead to the loss or dilution of a Protestant ethos for teachers being trained to teach in Protestant schools. A similar situation exists in relation to Nursing in Trinity College. The college has two separate entry routes for Nursing, again depending on the religious background of the applicant. As with primary school teaching, those applying through the Protestant entry route must also complete an interview.